Matt Ryan will be back as Constantine in Legends of Tomorrow for the entirety of Season 4, if it's renewed by The CW. Matt Ryan returns as John Constantine in the first photos from the Season 3 mid-season premiere of Legends of Tomorrow, debuting next month on The CW. Executive producer Marc Guggenheim reveals that he wanted to release the Crisis on Earth-X crossover as one movie, but there a major snag. Arrow, Flash, Supergirl and the Legends of Tomorrow get ready to go back to work in a new midseason trailer. Just weeks after Arrowverse producer Andrew Kreisberg was suspended following sexual misconduct allegations, he has now been fired. The entire Arrowverse comes together for Barry and Iris' wedding, but they have to spring into action when a threat emerges in Crisis on Earth-X. Warner Bros. has suspended producer Andrew Kreisberg, who works on The Flash, Arrow, Supergirl and Legends of Tomorrow, over sexual harassment claims. Several characters from within the Arrowverse reunite for Barry and Iris' wedding, when they come under attack in the Crisis on Earth-X trailer. Matt Ryan is confirmed to return as the iconic John Constantine in an upcoming two-episode arc on The CW's Legends of Tomorrow. 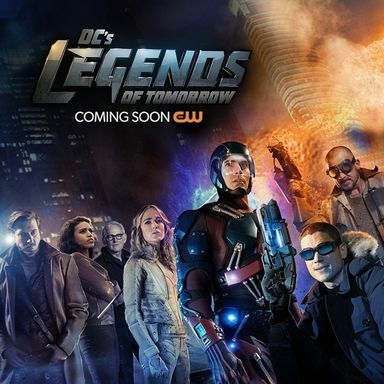 The CW has announced fall crossover dates for Arrow, The Flash, Legends of Tomorrow and Supergirl.